The Cambridge Perinatal Group comprises clinicians involved in perinatal education, training and research. Shazia Hoodbhoy is a neonatal consultant at Cambridge University Hospitals NHS Trust. She trained at St Thomas’, King’s College and St George’s Hospitals in London and was a consultant at The Royal London Hospital from 2008-2012. She is the lead for neonatal nutrition within the service and has an interest in postgraduate and multiprofessional education. She has taught as an invited lecturer for a number of postgraduate and Masters level courses. She is a Neonatal Simulation Training instructor and also an NLS instructor. Topun Austin is the lead consultant for Neonatal Neurology in Cambridge. His research interests are in monitoring and imaging the developing brain to identify infants at risk of cerebral injury. He also is the project lead for the East of England Neonatal Neuroprotection Team, developing a coordinated service for neonatal neuroprotection, follow up and family centred care. He has considerable teaching experience: as a Clinical Lecturer at University College London he was involved in both undergraduate and postgraduate education and training. He is currently an NLS instructor and also supervises undergraduates at Cambridge in neurobiology. Gusztav Belteki is a Consultant Neonatologist at The Rosie Hospital, Cambridge. He also holds a Ph.D. in Molecular Biology and worked in leading genomic research institutes, the Mount Sinai Hospital, Toronto, Canada and the Wellcome Trust Sanger Institute, Hinxton, Cambridge. His main clinical and research interest is the neonatal lung. He is interested in the molecular biology of lung maturation and injury. He also has an interest in neonatal ventilation, particularly in long-term ventilation monitoring and ventilator-patient interactions.He also has neonatal echocardiography skills and has been performing structural and functional neonatal echos for over five years. Gusztav has been a member of the faculty of CPG since 2009. He is an enthusiastic teacher and truly enjoys his own work. Amanda Ogilvy-Stuart has been a consultant neonatologist at the Rosie hospital since 1998 and is currently the clinical director. 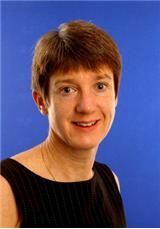 She is also a senior member of St Edmund's college, University of Cambridge. She trained in paediatrics in Nottingham, Oxford, the Hospital for Sick Children, Great Ormond Street, New Zealand and Manchester. Although interested in all aspects of neonatal care, her main interest is neonatal endocrinology. She has a published textbook, chapter publications, a number of commissioned reviews and original research articles on neonatal endocrinology. She also has an interest in medical education and ran the East of England regional registrar study days for five years before becoming one of the training programme directors for the Eastern Deanery for three years. She is the honorary treasurer of the British Association of Perinatal Medicine. Angela D'Amore is a neonatal consultant specialising in neonatal neurodevelopment and neonatal neurology. 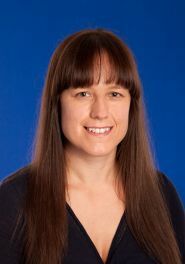 Her research interests include neurodeveleopmental outcomes of premature infants, infants with inutero growth restriction and infants treated with therapeutic hypothermia.She leads a multi professional team which provides a neurodevelopmental follow up service which includes Bayley assessments at 2 years of age. She is secretary of a multiregional Outcomes Group . She is an experienced teacher who regularly teaches on regional paediatric courses. Yogen Singh is a Consultant in Neonatology and Paediatric Cardiology at Cambridge University Hospitals. Previously he has worked as Consultant Neonatologist with special Expertise in Cardiology at Royal Infirmary of Edinburgh. He is co-founder and co-director at Yorkshire Paediatric Echocardiography course in Leeds, and echocardiography course director at Cambridge. Yogen is an executive member of PECSIG (Paediatrician with Expertise in Cardiology Special Interest Group) executive committee and a core group member of NICHe (Neonatologists with Interest in Cardiology and Haemodynamics) and BCCA. His primary areas of interest include functional echocardiography, regional circulation and neonatal haemodynamics. Yogen has considerable teaching experience. He regularly teaches on Paediatric and Neonatal Echocardiography Courses in the UK and Europe. He is passionate about echocardiography training and he regularly holds echo training sessions for neonatologists, neonatal grid trainees and paediatric trainees with interest in cardiology. He is a Neonatal Simulation Training instructor and also an NLS instructor. Wilf Kelsall has worked as a consultant in Cambridge for over 17 years. He co-ordinates the paediatric cardiac care of patients in Cambridge working in a hub and spoke model with Great Ormond Street Hospital. His main interests are on the accuracy and outcome following antenatal diagnosis of congenital heart disease, neonatal management of the patent ductus arteriosus and delivery of local cardiac services both in a paediatric led clinic and a specialist outreach clinic. He has talked and published widely on these areas. He is a keen teacher of echocardiography skills to paediatricians. Sam O’Hare joined the Neonatal Consultant group in Cambridge in January 2013 having trained in Paediatrics in the Severn deanery and completed Neonatal Grid training in Bristol. Her Consultant role is divided between the NICU at the Rosie and the Acute Neonatal Transfer Service for the East of England. She has an interest in neonatal ethics and completed an MSc in Health Care Ethics and Law at the University of Bristol in 2011. She is an enthusiastic teacher and is both a NLS and GIC instructor. Anna Curley is a neonatal consultant at The National Maternity Hospital, Dublin and a founding director of the Cambridge Perinatal Group. As a clinician she has a special interest in neonatal echocardiography. Primary research interests are neonatal respiratory medicine and neonatal haematology. She gained an MD in “The Role of Inflammation in the Evolution of Chronic Lung Disease in the Premature Neonate” in 2001. 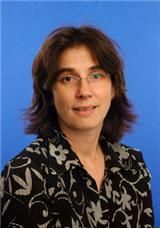 She is Research and Development Lead for Neonatal Services, Cambridge and is chief investigator for PlaNeT 2 a multi-centre randomised controlled trial of platelet transfusion thresholds in neonates. Other research interests included necrotising enterocolitis, chronic lung disease and transfusion related outcomes. 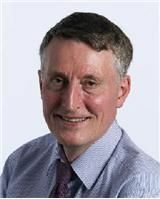 Professor John Wyatt is emeritus Professor of Neonatal Medicine at University College London. 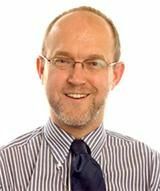 He has over 30 years of clinical and research experience specialising in perinatal brain injury and more recently neonatal ethics. His research interests spanned non-invasive brain monitoring, neonatal neuroprotection (including chief investigator of the original RCT for cooling, the CoolCap trial) and neurodevelopmental follow up, leading one of the longest running follow up studies at UCL. 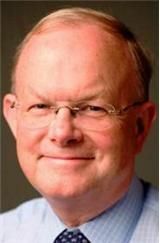 He has extensive teaching experience, both to generations of medical students and trainees as well as an invited speaker at numerous national and international meetings talking on a broad range of topics from neonatal brain injury to perinatal ethics. For over 15 years he ran the UCL Neonatal Cranial Ultrasound course and has been a regular contributor to the Cambridge Perinatal Group courses since its inception. Mary Starace completed her general nurse training at Addenbrooke’s Hospital in 1984 and worked in adult respiratory medicine for two years. Following a desire to be a district nurse Mary undertook training in midwifery. Although she enjoyed the midwifery training she ‘fell in love’ with neonatal nursing during her placement on NICU and after a short period of practising as a midwife she transferred to NICU. May has worked in many roles over the years including senior sister and lead nurse on NICU although her passion lies in education and practice development. She is currently lead nurse for clinical education at NICU in Cambridge. The role enables her to combine clinical practice with education, leadership and management activities. She particularly enjoys this as it allows her to promote and enhance clinical practice in an ever changing health environment. She provides multi disciplinary staff development and education which ensure that practice is evidence based and evaluated with an influence and impact on patient care. Mary is an NLS and GIC Instruction ad contributes at local, strategic and national level in the delivery of multi professional resuscitation training events. Her special interests are respiratory physiology, ventilation and neonatal resuscitation. Annita Budzanowski, MD gained her final medical degree in Vienna, Austria. She went on to obtain her training in paediatric surgery at the Medical University Hospital of Vienna, Austria. Annita then came to the UK where she spent a year in Manchester for a Fellowship in Neonatal Medicine and Paediatric Surgery. After returning to Vienna, Annita was part of a group paediatric registrars in Vienna who felt there was an increasing need for regular teaching sessions combined with an international network. This led to the formation of PESPOS - paediatric seminars postgraduate surgery.Now in its 4th year as an international conference and with delegate numbers increasing year on year PESPOS has become a showcase for leaders in this field from all over the world who speak at the conference on a variety of topics. The conference has become an important date in the calendar to hear of the latest developments from experts as well as being an opportunity to network with colleagues from around the world. Annita came to live in Cambridge in 2014 and holds the post of Clinical Fellow in the Paediatric Surgery department of Addenbrooke’s Hospital. Professor Morley was educated at the University of Cambridge and undertook his paediatric training in the UK. He was a Nuffield Research Fellow in Oxford where he started work on surfactant treatment for premature babies. He was appointed a University Lecturer / Consultant Paediatrician in Cambridge in 1979. In May 1998, he was appointed Professor/Director of Neonatal Medicine at The Royal Women’s Hospital and the Royal Children’s Hospital Melbourne. He is now retired back to Cambridge. He has published over 300 papers of which 90 are related to neonatal resuscitation. Sarah Harris is Neonatal Discharge Planning Co-ordinator and Community Lead at The Rosie Hospital. Sara trained as a general nurse in late 1970’s in North London and initially specialised in cardio-thoracic nursing, working in clinical trials and research at the Brompton Hospital. She has gained extensive experience throughout her career in many areas of nursing that enhances her overall practice. In 1996 Sara joined Addenbrooke’s Hospital Women’s and Children’s service where she worked in Rosie theatres prior to joining the Neonatal service. She obtained her 405 neonatal qualification and Diploma in Nursing (Critical Care) in 2000. After a secondment to the Neonatal Outreach Team Sara decided this was the direction she wished to pursue in her career pathway. In 2004 Sara undertook her BA (Hons) in Primary and Community Care Specialist Practice (Health Visitor)and she gained a wealth of extensive experience in community practice, communication and partnership, working with numerous external agencies and she has brought this back into her role within neonatal services enhancing the service and family experience. Since returning to Neonatal services in 2008 Sara has been an active member of the Mother and Baby Service Workforce Planning Development Programme and has been involved in many initiatives throughout the service. She has worked with colleagues from the Institute of Innovation and Improvement producing a case study for one of the eight High Impact Actions at a national level and has been a key member in developing the Neonatal End of Life Pathway in partnership with EACH Milton Hospice following the release of funding from the DH in 2010. Sara continues in the role of Cambridge CONI co-ordinator and supports both CONI and CONI Plus families. She is Chair of the Special Interest Community Neonatal Group and is also an active member of the Neonatal Nurses Association Executive Committee. Jackie Hughes is one of three Consultant Paediatric Radiologists at Addenbrooke’s Hospital Cambridge. Her role covers Neonatology, General paediatric Medicine and Surgery and Paediatric Oncology. Jackie trained as a medical student at King’s College London ( 1986- 1991) and subsequentlytransferred to Charing Cross hospital, London to complete her medical SHO rotation. Following this Jackie became a radiology registrar at Guys and St Thomas’ Hospital and an Honorary Fellow at Great Ormond Street Hospital eventually becoming a Consultant Radiologist at Guy’s Hospital. When the Evelina Children’s Hospital on the St Thomas’ site was completed, the children’s services relocated to this new build and Jackie become the first Consultant Paediatric Radiologist at the Evelina Children’s Hospital. She spent a subsequent 6 months observership at Toronto Hospital for Sick Children, Canada before finally settling in Cambridge.